The media in Japan positively exploded this week with the shocking news that Sharp has notified Samsung it will no longer supply the world’s top seller of LCD TVs with the panels they need for their sets. Samsung was Sharp’s largest customer, but in a shocking power move, after negotiations broke down – Sharp said no deal. Could this be a sign of a new Sharp, now that it’s part of Foxconn? Headlines exploded in Japan as outlets like the Nikkei, The Japan Times and others reported in multiple articles a drama unfolding that could potentially have global significance. Sharp, one of the world’s largest manufacturers of LCD panels used to make televisions, will complete a shipment of about 2 million units to Samsung…and then, that’s it…no more. In a power move – that to many seems to be incredibly risky – Sharp has, in essence, just fired their largest customer. The issue revolves around the negotiation of a new supply contract. Samsung, as the world’s largest supplier of LCD TVs was likely squeezing the company to lower their panel prices. But with a drop in panel prices, Sharp’s LCD panel manufacturing business was already losing money. The negotiations apparently did not go well as Sharp dropped the boom, telling Samsung they would no longer supply them with panels at the end of existing commitments. Sharp supplied Samsung with about 5 million panels in 2015, the last full year for which data is available. How big of a problem is this for powerhouse Samsung? As one headline put it, “Samsung scrambles to find new sources for LCD panels.” Really, you might say, how bad can it be…there are multiple suppliers of panels, including…ironically…Samsung, who has their own panel manufacturing business. Here’s how bad it is for Samsung – they have been forced to go, hat in hand, to ask LG to supply them. LG! As most of our readers probably know, LG is Samsung’s archrival in South Korea and there is no love lost between these two companies. But Samsung has been so successful in building their global LCD TV business, they have outstripped the ability for any one or two companies to be able to supply them. Sharp, with their huge LCD panel manufacturing capability, was one of their largest suppliers of panels. LG has told the media that “it will consider Samsung’s highly unusual request with a positive attitude – but ‘it’s difficult to predict if their negotiations will lead to an agreement,'” the Nikkei reported. It’s not too hard to read between those lines. When does the LCD panel spigot get shut off? Soon. Sharp said they will stop shipping Samsung in 2017. We are two weeks away from 2017. What’s fascinating is that Sharp/Foxconn executives are demonstrating an uncharacteristic swagger, telling the media that they are confident that they will be able to replace Samsung’s business with other customers…as well as in supply of their own TV business. And, most likely, contracts with other less powerful customers are more profitable than the Samsung contract was shaping up to be. 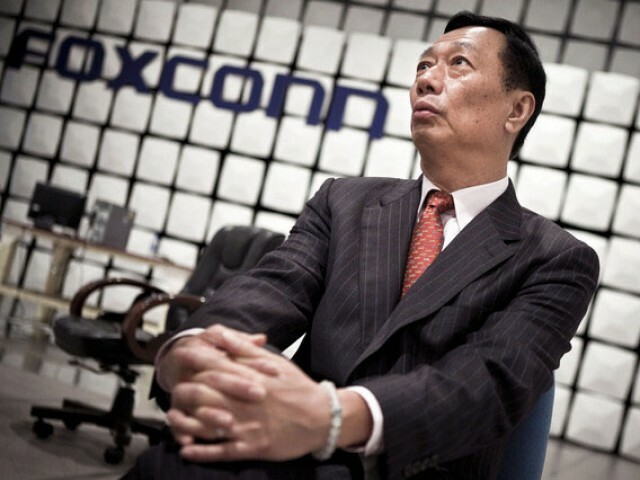 The Taiwanese media are characterizing this development as a “declaration of war” against Samsung by Foxconn and its flamboyant CEO Terry Gou. However, some industry observers suggest that this risky move could blow up in Sharp’s face. 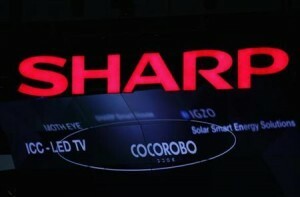 If Samsung is able to secure favorable contracts with other suppliers, Sharp could be the odd man out. Obviously, Sharp and Foxconn think they have the upper hand. Aside from the panels they make themselves, Samsung also buys panels from China’s BOE Technology Group and AU Optronics, as well as from some Taiwanese suppliers. But Sharp was a big part of their supply picture. If LG turns Samsung down, they will be forced to try and cut new, much larger, supply deals with their existing suppliers. But many industry analysts suggest that these suppliers may not have enough additional capacity to fulfill Samsung’s needs. As the market leader, if Samsung is forced to pay more for their panels, this will have to show up in more expensive TVs. What that means, from a market perspective, is we are in uncharted territory…LCD TVs have always gotten cheaper over time. 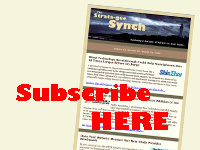 But if parts suppliers like Sharp start pushing back – all bets are off. Could the balance of power in our industry be shifting? Quite possibly.